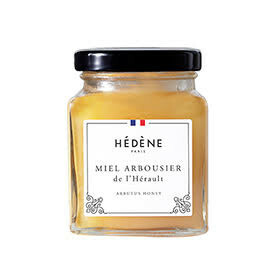 Little known by the public, Hédène arbutus honey is a powerful and slightly spicy honey, which distinguishes itself with coffee overtones and a sustained bitterness. Creamy, its taste is spicy and nice. Unlike acacia or rosemary honey, this refined honey comes from wildflowers, it is unique thanks to a strong bitterness and spicy flavors. Hence, it matches perfectly with coffee and it can replace sugar. Harvested in South of France, in Hérault at the bottom of Vissou peak, arbutus honey distinguishes itself with a surprising and full-bodied taste. 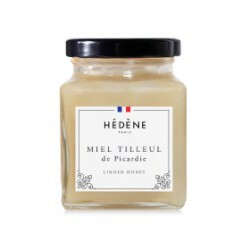 With its coffee overtones and its sustained bitterness, Hédène arbutus honey will please fine epicures. It has a creamy and fine texture. Its typical and long-lasting taste lets spicy overtones blossom and melt with a light bitter almond flavor. 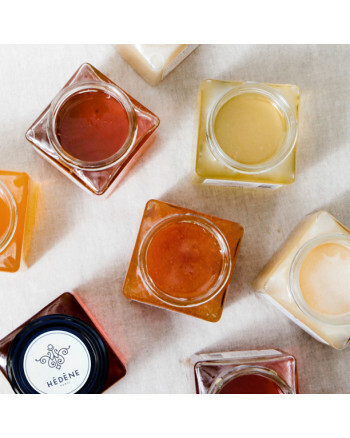 This exceptional honey has a growing popularity as it is rare and often used by starred chefs to enhance their creations with a raw product, with character. It will please honey lovers looking for a rare honey, bitter and slightly spicy. Arbutus flowering happens between mid-October and early November. Harvest happens between November and December. If you feel like having a honey therapy, Hédène arbutus honey is perfect for you. In fact, it can be added to any dishes or beverages at different moments of the day. Its lightly bitter taste wonderfully matches with coffee, without changing the drink’s taste. With its smooth texture and its intense overtones, it goes together with savory but also sweet dishes.